One of Brooklyn’s biggest comedy festivals returns to tickle Williamsburg and Bushwick’s collective funny bone. There are innumerable comedy acts in the city, but most of us probably get our punch lines at home. You can binge Showtime’s darkly amusing stand-up-in-the-’70s series, I’m Dying Up Here, or specials on HBO and Comedy Central. Let’s not even get into Netflix. So who has time to go to an actual, um, club? Well, the organizers of the Cinder Block Comedy Festival, running September 7–10, are hoping that sheer volume will draw folks off their couches to venues scattered throughout Williamsburg and Bushwick. 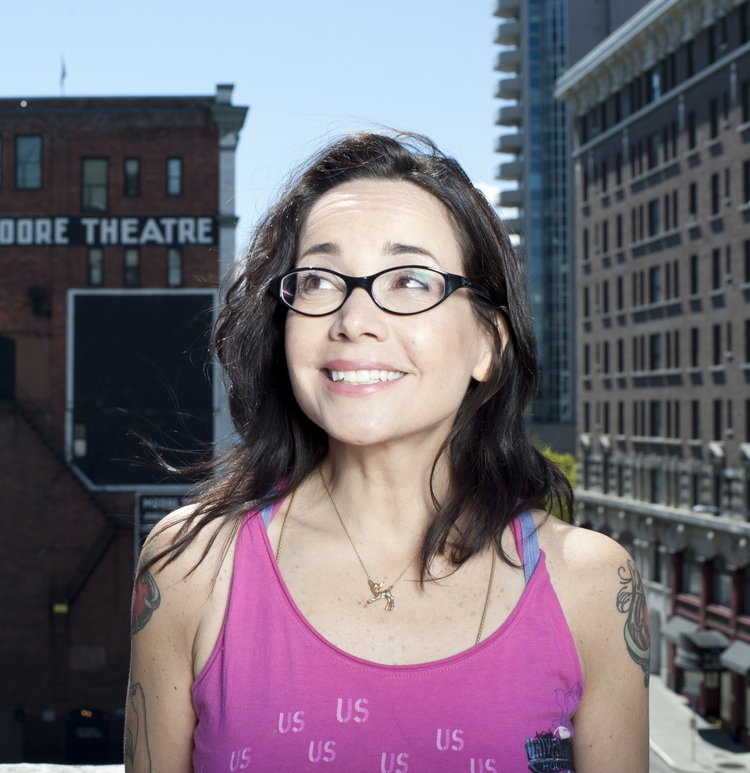 The festival headliners include Janeane Garofalo (currently on Broadway in Marvin’s Room), Judy Gold, Jeffrey Joseph, Nikki Carr, and Jo Firestone. This year, Cinder Block is even bigger, with 80 shows and 18 venues. It’s not all a big joke; the festival has a socially redeeming side. There will be a showcase from the What a Joke! Festival on Saturday, September 9, at the Gutter. What a Joke! raised $50,000 for the ACLU on Inauguration Day weekend. Tickets are $10, and sales will also be donated to the ACLU. Or you could try Speakout Laughout on Sunday, September 10, at Cantina Royal: Stories about abortion to bring both tears and laughter. Tickets are $10 and a portion of sales go to the National Network of Abortion Funds (NNAF). Why You Should Go: We could all use a laugh, and this Brooklyn-based jokeapalooza promises to get you giggling. While you’re laughing your way around Kings County, make it a true-blue Brooklyn day.